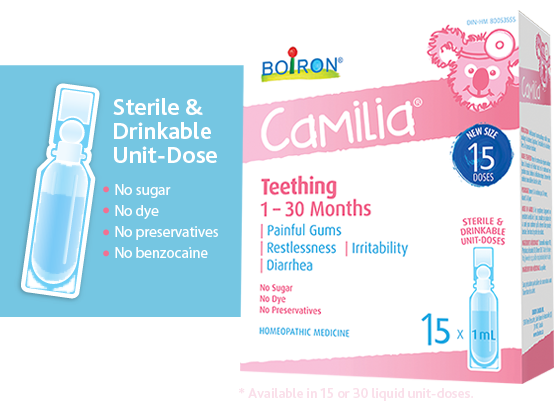 Camilia is neutral-tasting and comes packaged in sterile, drinkable and unbreakable unit-doses, making it easy to administer. 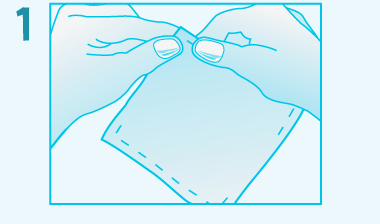 Its neutral taste makes taking it easy, and helps baby recover his smile. Pour directly into baby’s mouth; this helps the suckling reflex. Hermetic and small enough to take anywhere. 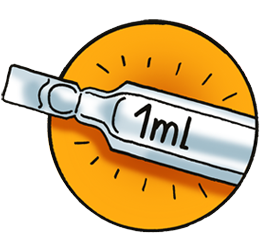 Single use unit-doses provide a sterile medicine! 3 Pharmacy Practice+ and Profession Santé 2017 Survey on OTC Counselling and Recommandations. 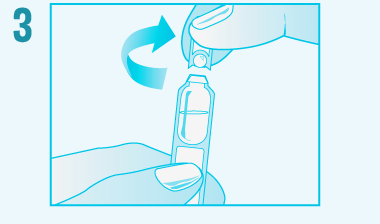 Give 1 drinkable unit-dose at the onset of symptoms. If symptoms persist, repeat at 15-minute intervals for up to 3 unit-doses. 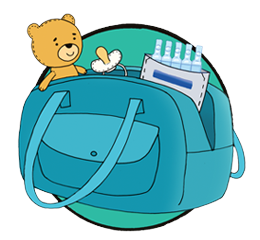 Repeat dosing regimen as required with subsequent episodes of teething symptoms for up to a total of 6 unit-doses per day, during 3 to 8 days. 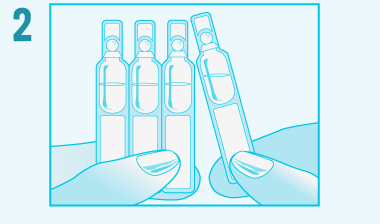 Twist the cap of the single-use unit-dose. Hold baby in a seated position. 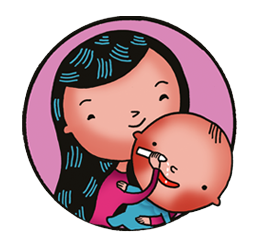 Squeeze entire contents of one single-use unit-dose into baby’s mouth. 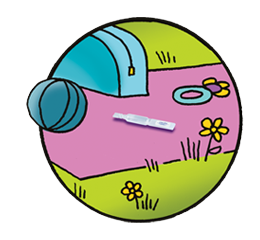 Baby must swallow the medicine. Warning : If symptoms worsen or persist for more than 3 days, consult a health care practitioner to confirm that symptoms are related to teething. Keep out of reach of children. 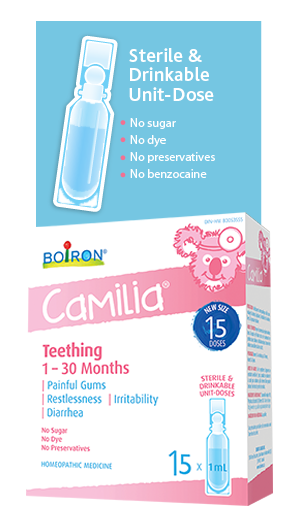 With 3 homeopathic medicinal ingredients, Camilia relieves teething-related symptoms.